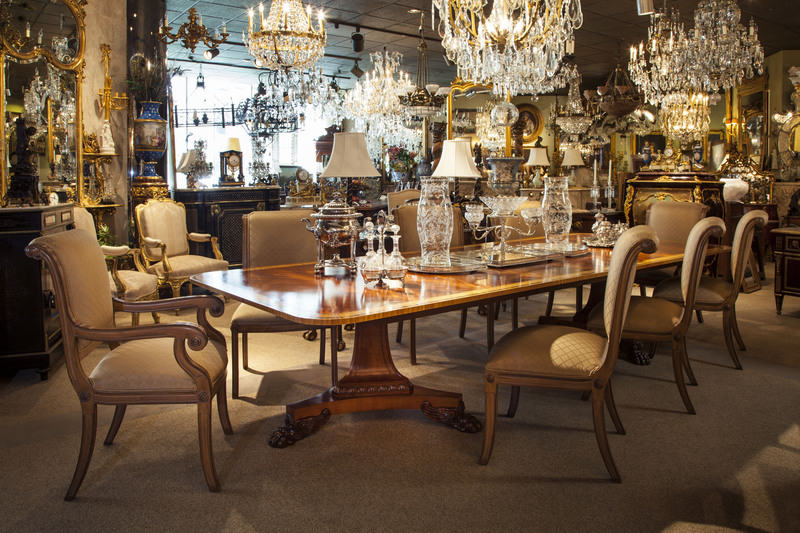 Vintage Banquet Size Dining Table. 108″L x 55.25″W. 4 Leaves, 18″ each. By Baker. Set of eight Dining Chairs. Kreiss Collection.